I adore the fall season and the foods that usher it in. There are apples for apple pie and cider, acorn and butternut squashes for roasting, and pumpkin for, well, basically everything else. I have a small semantic beef with the fact that there is a pumpkin version of everything this time of year. 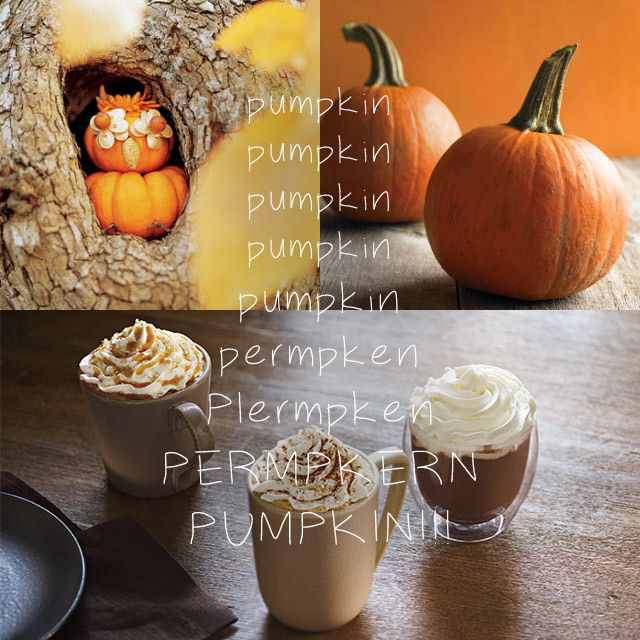 Pumpkin coffee, pumpkin beer, pumpkin cake, pumpkin cream cheese, pumpkin cookies, and ETC – most of these things are probably delicious, but most of these things also do not contain pumpkin. You are not drinking a squash-flavored latte; you are drinking a latte that is spiced in a way that reminds you of the flavor of pumpkin pie. Credit where it’s due: Starbucks calls theirs a “pumpkin spice latte” which is basically not lying. Where my issue gets a little more intense is with baked goods. Pumpkin pie and other custard-based desserts aside, pumpkin doesn’t do anything good for the texture or flavor of most bakery items. Adding pumpkin to a cake is like adding cement – you could maybe pull it off in a pound cake but you’ll be lucky to achieve a texture lighter than banana bread. I sort of dislike the density of muffins to begin with, but adding actual pureed pumpkin to the batter basically guarantees a heavy muffin the day it’s baked, and a pumpkin hockey puck the day after. The absolute worst offender in my opinion is the so-called “pumpkin chocolate chip cookie”. Friends, cookies are supposed to be crispy on the edges, chewy in the middle, and full of butter. It’s impossible to actually add pureed pumpkin to cookie dough and end up with a cookie that fits those requirements. In fact, most “recipes” for pumpkin “cookies” require three things: pumpkin, chocolate chips, and cake mix. That “recipe” makes a sad, dense, small, free form cake. Do not call it a cookie. What I’d like to do is divorce the word pumpkin from it’s associated spices. The noble pumpkin has more to offer us if we think outside the realm of sweets. There’s curried pumpkin soup, pumpkin stuffed with cheese and bread (um, yes), roasted pumpkin with sage or chipotle, even pumpkin filled ravioli. The pumpkin possibilities are nearly endless, and inevitably delicious. That said, pumpkin pie is one of the greatest pies ever invented. And my mom’s is probably the best in the world (as is, I’m sure, your mom’s). There are a handful of other desserts I will allow to contain actual pumpkin, and they are: cheesecake, ice cream, mousse, any custard, maybe soufflé, and the occasional pumpkin roll. Beyond that, I’d recommend playing with other spice-heavy holiday flavors, like maybe gingersnap. A gingersnap is a fine cookie. So, now you know. Proceed in pumpkin consumption responsibly.